(Community News Service) Republicans and Democrats agree funding critical infrastructure needs is important, but if the last two legislative sessions are any indication, that is where the agreement ends. Both times efforts to pass a major infrastructure investment bill failed. An infrastructure bonding bill will reappear, yet again, in the 2019 Montana legislative session. However, supporters are making some changes in hopes of winning support from the Republican-controlled Legislature. 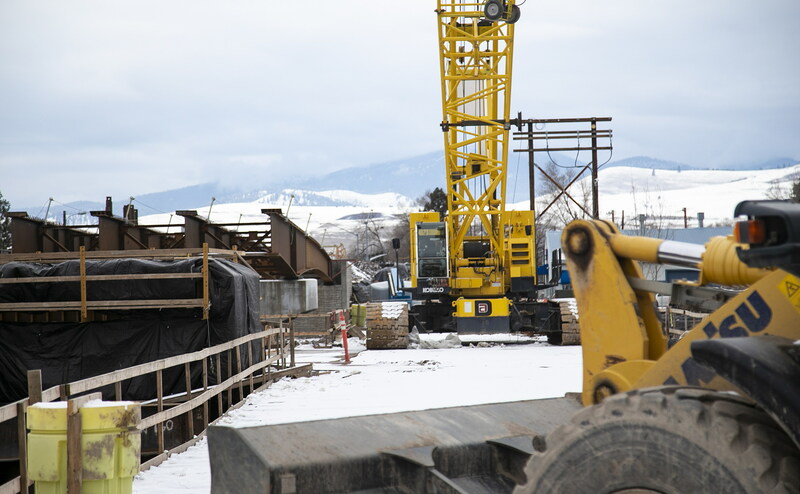 “We need a bonding bill that’s core, critical infrastructure,” said Darryl James, executive director of the Montana Infrastructure Coalition, a group that includes the Montana Contractors’ Association, the state Chamber of Commerce and many local Montana cities. James said last session the legislation got bogged down by including so-called “vertical infrastructure” projects, like Montana State University’s Romney Hall renovation, the state history museum in Helena and campus buildings for MSU-Billings. According to James, these projects were used as “excuses” to not pass a more comprehensive bill. “It doesn’t make sense to kick that can down the road when we are talking about critical infrastructure in someone’s community,” said James. But James said there remains a desperate need for critical infrastructure repair. “The total unfunded deficit for infrastructure — and that’s across the board: water, wastewater, roads, bridges, schools, fire halls, detention centers — it’s in the billions,” said James. James still thinks the buildings considered before are valuable but said there needed to be two conversations about how to address them. That’s a position Republican leaders welcomed, with Senate President Scott Sales saying it’s the only way he sees an infrastructure bond passing. That combined bill failed to get the 67 votes needed in the House last session by two votes. Sales said while he likes the idea of separating sewer, water and road projects from buildings, the move could cost them the votes of Democrats looking to put forth vertical infrastructure projects. But even if members of the two parties can come together over what to include in the bill, the struggle to pay for needed municipal and state infrastructure will continue. As James points out, there are billions of dollars of projects out there and he recognizes the burden this puts on Montana taxpayers, especially on income and property tax. “We think it’s necessary to start the conversation about a statewide sales tax,” said James of the Coalition. He suggested increasing taxes on the roughly 12 million people who travel to Montana each year. While there was a fuel tax implemented during the 2017 session that will eventually reach 6 cents a gallon, James said that isn’t enough to compensate for the burden tourists put on Montana’s infrastructure. That’s something Robert Story, executive director of the Montana Taxpayers Association, would welcome. Part of the reason construction funds have dried up is the struggles of the coal industry. In the past, taxes on coal helped fund the long-range building programs. But in 2017, coal only supplied a little over $7 million. Story said some sort of consumption tax, whether a general sales tax or a tourism tax, should be considered. But, he also recognizes that is not an easy sell. Sales said a statewide tourism tax has a “slim” chance of passing. For the past two sessions, a consumption tax has been resoundingly defeated.